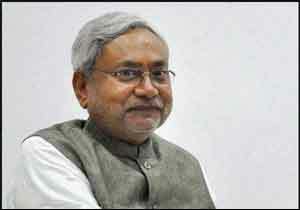 Patna: A move is afoot to upgrade the Patna Medical College and Hospital (PMCH), the largest healthcare facility in Bihar, and make it world class for which a budgetary outlay of more than Rs 5000 crore has been sanctioned, Chief Minister Nitish Kumar said here on Tuesday. Addressing a function here organized on the occasion of 11th anniversary of the State Disaster Management Authority, Kumar said the new hospital campus would be built at a cost of Rs 5400 crore and equipped with 5,000 beds. He said in view of the fact that Patna falls in a high-risk seismic zone, the new building will be constructed employing the ‘base isolation’ technique that would protect it from earthquakes, equipped with a helipad on its top and its construction would be complete within five years. The chief minister also said a drive was underway to make existing structures earthquake-resistant and those buildings which are too old may be replaced with new ones. Recalling the Gujarat earthquake of 2002, when he was a Union minister, Kumar said: “Specialists had at that time warned that Patna could lose about half a million lives if tremors of a similar magnitude hit the city”. Speaking about the drought situation in the state, he said 275 blocks across 25 districts have been declared drought-hit by the state government and the affected farmers were being provided help through schemes like input subsidy and crop assistance. “People affected by any type of calamity have the first claim on the state’s resources. It is our government’s resolve to ensure that shortage of funds does not come in the way of effective disaster management”, he added. Others who were present on the occasion included Minister for Disaster Management Dinesh Chandra Yadav, members of the Authority, senior officials of the department as well as NDRF and SDRF. AS I MENTIONED IN PREVIOUS COMMENTS , IT IS UNWISE TO KEEP AL THE EGGS IN ONE BASKET. PANTA ALONE IS NOT BIHAR, PUMPING HUGE AMOUNTS OF FUNDS ON SINGLE HOSPITAL IS ALSO NOT GOOD. INSTEAD THAT LEAVING IT AS IT IS , 4 NEW MEDICAL COLLEGES CAN BE STARTED IN 4 DIFFERENT CORNERS / DIRECTIONS WITH MASSIVE CAMPUS KEEPING IN MIND FOR FUTURE EXPANSION. ALL THESE COLLEGES CAN STARTED CLOSE RAILWAY, BUS,METRO STATIONS. I HAVE SEEN PANTA , EXCEPT FOR THAT VIP AREA IN & AROUND ASSEMBLY & AIRPORT NOTHING MUCH TO TALK ABOUT , THEY FLYOVER / BRIDGE LOOK QUITE OUTDATED . CAPITAL CITIES LIKE LUCKNOW, BHUBANESWAR, JAIPUR, RAIPUR, LOOKS MUCH BETTER. INSTEAD OF MAKING IT MORE STUFFY , CONGESTED BETTER TO MOVE AWAY TO MAKE IT MORE SUITABLE, SUSTAINABLE, WITH FREE FLOW OF TRAFFIC. Better to avoid misadventures , coming out with fancy ideas – world\’s largest, world class , WORLD\’S Best extra……..MY BEST WISHES TO THE PEOPLE OF BIHAR TO BASIC EDUCATION &HEALTH CARE. Ban on TABOCCO in any form is much more important , family planning second , prevention of communicable diseases, maintenance of law and order …….